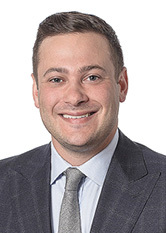 Spencer C. Friedman represents clients in all aspects of corporate and commercial law, with a particular focus on real estate, public and private equity and debt financing, mergers and acquisitions, general corporate matters and corporate governance. Prior to joining the firm, Mr. Friedman represented large financial institutions in the finance of real estate transactions involving all real estate asset classes in New York, with a particular emphasis on commercial and multifamily properties. In that capacity, he also conducted real estate and corporate due diligence, including title, survey and zoning, leasing documents, organizational documents and service contracts. Mr. Friedman is a member of the New York State Bar Association and the Nassau County Bar Association.